Forget Excuses. What Counts Is Winning Elections. The midterms offered some painful lessons for Democrats. The response to my column on what Democrats can learn from the midterms is fascinating. Democrats in NY and California think I'm nuts. Democrats in the middle of the country think it's right. Another sign that we inhabit different universes. Clearheaded analysis of midterms, from liberal Nicholas Kristof. "Ever since the 2016 election, a progressive wing has tarred all Trump voters as racists, idiots and bigots. Not surprisingly, it’s difficult to win votes from people you’re calling bigots." Strongly recommended reading, especially if you're on the left. "Ever since the 2016 election, a progressive wing has tarred all Trump voters as racists, idiots and bigots. Not surprisingly, it’s difficult to win votes from people you’re calling bigots." 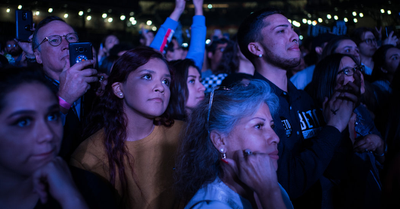 “Swing voters agree with many progressive ideas, from jobs to health care to higher taxes on the wealthy, but Democrats have a knack for antagonizing the working class by coming off as condescending, angry elitists.” @NickKristof nails it. Every word. The reality is that this was nothing like the 2006 midterm defeat for President Bush or the 2010 repudiation of President Obama, writes @NickKristof. Democrats shouldn't be cheering. In the "lessons learned" department, my column suggests that Democrats choose someone other than Pelosi as Speaker and for 2020 think about someone like @MitchLandrieu @hickforco @amyklobuchar or @SenSherrodBrown who can win over swing voters. nyti.ms/2z5WVqL Thoughts? To actually govern, and to get their way with judicial appointments, Democrats must also win the Senate, writes @NickKristof. That is possible but will require more than bravado. brilliant piece, of course, by @NickKristof // "One problem: Many Democrats live in an urban blue bubble, without a single Trump-supporting friend." // Forget Excuses. What Counts Is Winning Elections. Thank you, @NickKristof for this thoughtful and measured piece. I agree with every word. Smart column from @nickkristof Forget Excuses. What Counts Is Winning Elections.